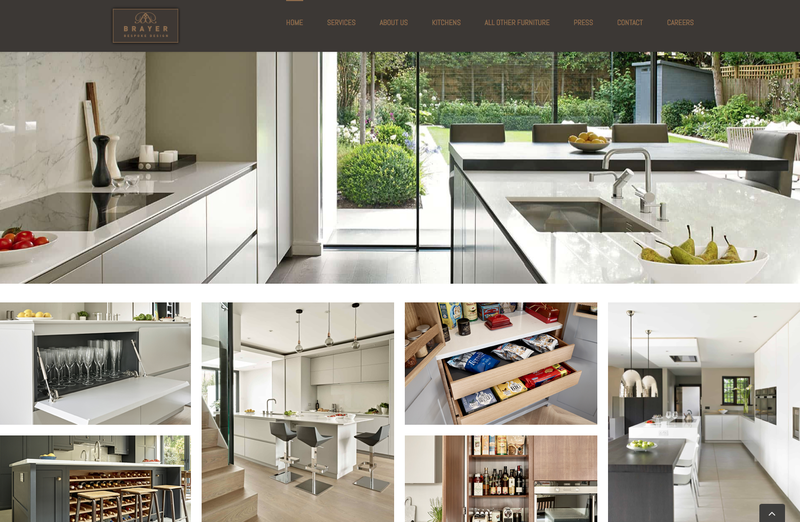 Website design is forever changing and improving. 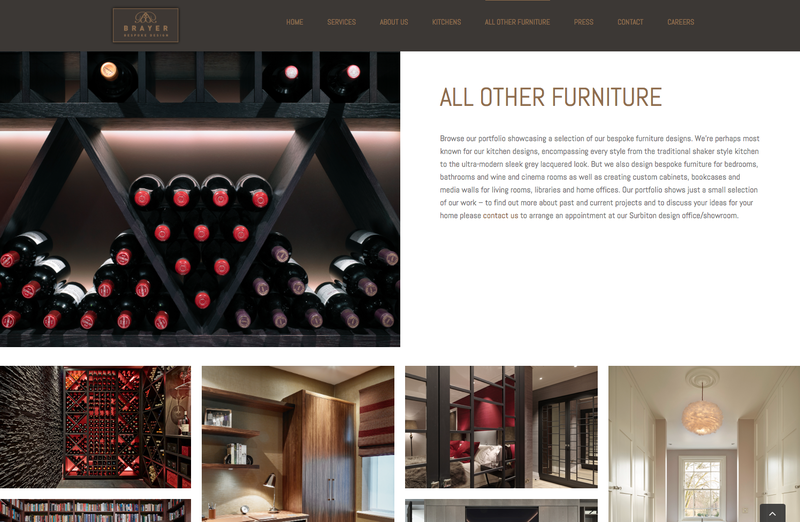 As Brayer Design is a company focused on latest trends and eager to stay up to date within their market, we updated their website to make sure that they stayed ahead of the curve. 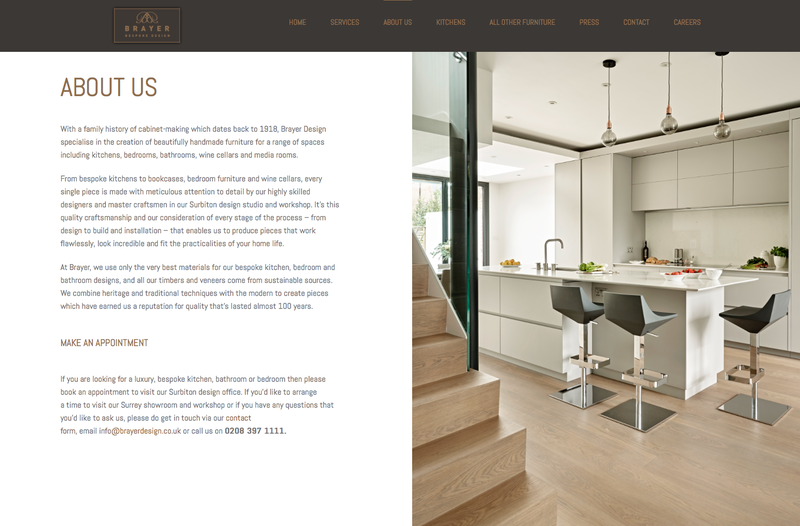 We first redesigned their website a couple of years back to coincide with an update to their branding that acknowledged the company’s family background and heritage as bespoke furniture makers. 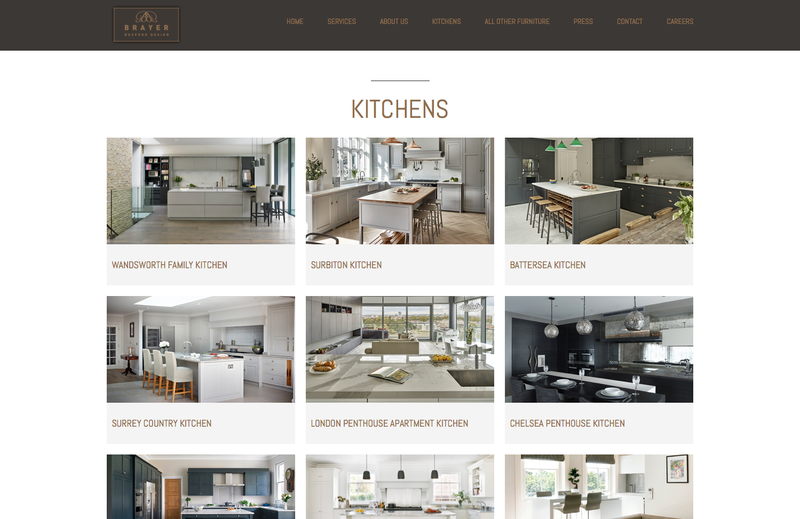 This time round, we continued to look where we could improve usability by getting rid of the drop-down menu system and adding a more mobile-friendly kitchen projects page with a grid system for easy browsing. 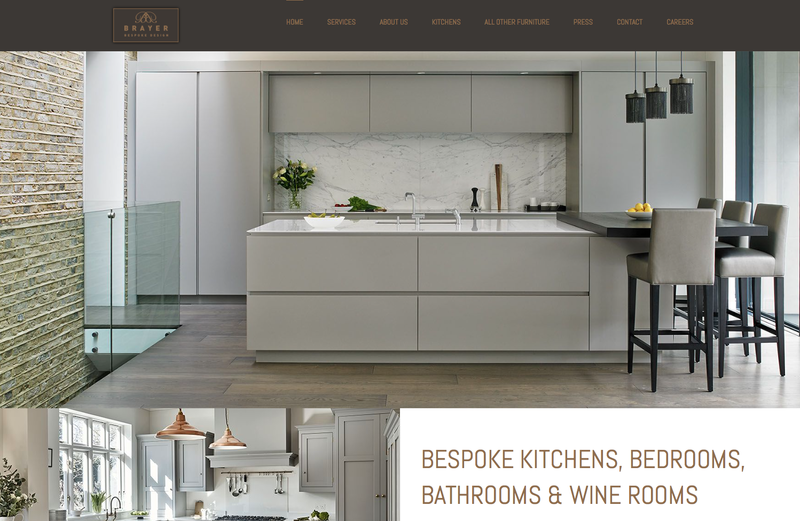 We also addressed some of the limitations of the old website design and chose a new look and layout that would further promote the spectacular and high-quality images from each one of Brayer Design’s incredibly good-looking projects. 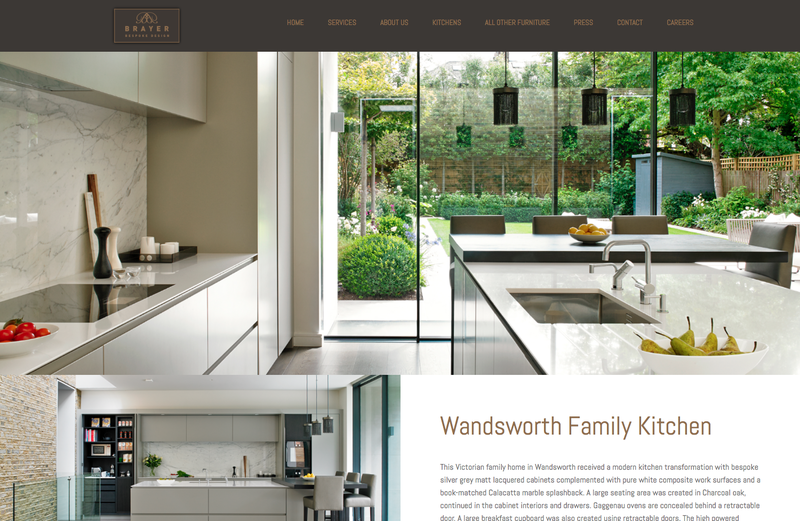 To see what we did, take a look at their website or browse the screenshots below. 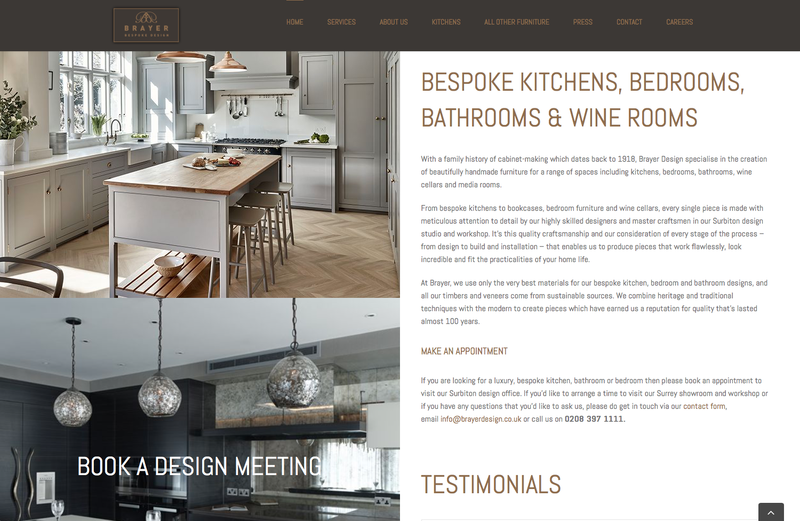 We have been working with Brayer Design for quite some time now, assisting them in their online activities through website management and hosting, social media, content marketing and paid advertising. It continues to be a real privilege to work with a company with so much passion, creativity and talent as Brayer Design which makes our job all the more easy and enjoyable.